why are the new landmark buildings all steel structures? In recent years, many famous building in China are steel structure buildings. "Bird's nest", the national theater, the world's largest astronomical telescope FAST...... With the advantages of "green", strong controllability and higher anti-seismic level, "steel structure building" has sprung up like mushrooms after rain. At the mention of steel structure buildings, people are not unfamiliar with it. Especially in recent years, there are many landmark buildings on the land of china, and all of them are steel structure buildings actually. Today, longspan steel structures have been widely used in the stadium, exhibition center, exhibition halls, stations, terminals and other public building with large space , steel structure has became a design thought of architecture from a tool, a steel member become the components of architectural design , and even expressed support logic. From this point of view, the steel structure already has the dual connotation of architectural aesthetics and construction tools, in the cold appearance, contains a wealth of humanistic inspiration. Why steel structure rise? This is inseparable from the "congenital advantage" of steel structure". The steel structure belongs to the flexible component, the seismic grade is higher, the construction speed is fast, the construction period is short, the component processing and installation size is relatively accurate, and the controllability is strong. If the designer pursues bold originality and unique modeling in design, the steel structure is the first choice. The more promising is that the steel structure enjoys the recognized "green" label in the industry. 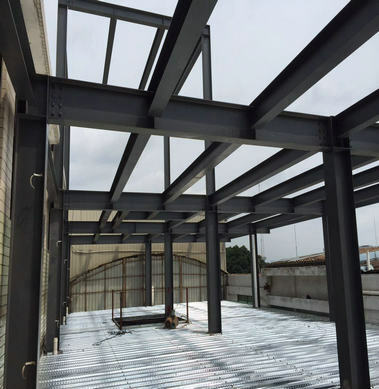 Generally the steel structure is belived the best choice for green buildingin the industry, after the demolition of steel structure building, more than 90% of the building materials can be used again, in the whole life cycle of the building, steel structure can maximize energy conservation, environmental protection, pollution reduction. The harmful discharge of steel structure is only about 65% of the concrete structure. China's steel construction works repeatedly called the world, can not do without the relevant breakthroughs in science and technology. In the "nest" and "Water Cube" and "dome" masterpiece ", a little progress of a body strong as iron" steel structure technology is precious. It is a breakthrough in science and technology, to help China's steel construction works repeatedly to win the "world's most" laurel.